The Man Who Melted is a warning for the future. It is the Brave New World and 1984 for our time, for it gives us a glimpse into our own future — a future ruled by corporations that control deadly and powerful forms of mass manipulation. It is a prediction of what could happen...tomorrow. The Man Who Melted examines how technology affects us and changes our morality, and it questions how we might remain human in an inhuman world. Will the future disenfranchise or empower the individual? Here you'll find new forms of sexuality, new perversions, new epiphanies, and an entirely new form of consciousness. Would you pay to "go down" with the Titanic? In this dystopia the Titanic is brought back from the bottom of the sea and refurbished, only to be sunk again for those who want the ultimate decadent experience. Some passengers pay to commit suicide by "going under" with the ship. 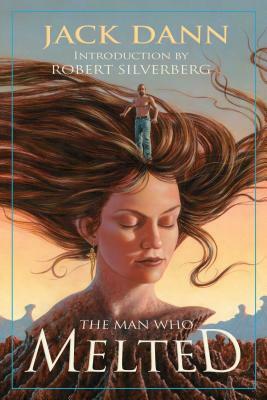 The Man Who Melted has been called "one of the greatest science fiction novels of all time" by Science Fiction Age and is considered a genre classic. It is the stunning odyssey of a man searching through the glittering, apocalyptic landscape of the next century for a woman lost to him in a worldwide outbreak of telepathic fear. Here is a terrifying future where people can gamble away their hearts (and other organs) and telepathically taste the last flickering thoughts of the dead. Jack Dann is a multiple-award-winning author who has written or edited over seventy books, including the international bestseller The Memory Cathedral; The Silent, a novel of the Civil War; The Rebel: An Imagined Life of James Dean; and a number of short story collections. Dann lives in Australia on a farm overlooking the sea and "commutes" back and forth to Los Angeles and New York.